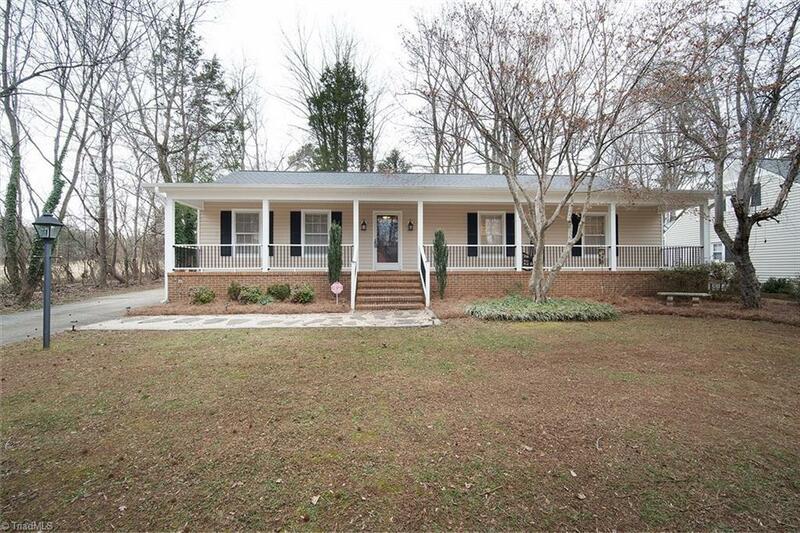 1005 Condor Drive, Greensboro, NC.| MLS# 914072 | North Carolina Farm and Vineyard Specialist Patria Properties Inc.
Beautiful ranch home with rocking chair front porch. Kitchen has tile floors, Breakfast nook, and SS appliances. Both bathrooms have been updated with tile floors, new plumbing, and new light fixtures. Den features gas log fireplace with brick surround and hearth. Hardwood floors throughout the main living areas and bedrooms.